You might not think much about the state of radio today—but across the country, radio still has a huge presence. iHeartMedia, for example, reaches over 245 million people nationwide every month, and owns more than 800 stations. Tune into one of those stations in, say, Atlanta, and another in Chicago, and you might notice how much of local radio in the U.S. sounds the same. A recent change by the Federal Communication Commission (FCC) may have just made it easier for local radio to become less local. Last week, the FCC voted to eliminate the rule that T.V. and radio broadcasters must maintain physical studios in the communities that they are licensed to serve. 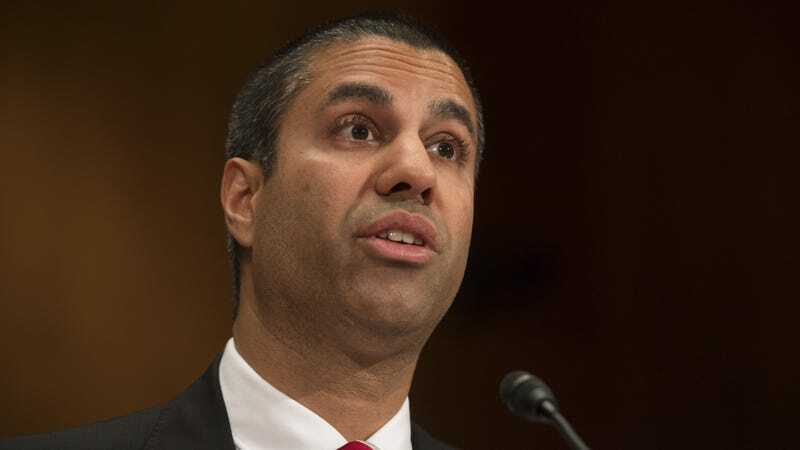 It’s a move in line with the anti-regulation agenda of Ajit Pai, the current chairman of the FCC, and the last couple of decades of broadcast deregulation. The elimination of the so-called “main studio rule” is designed to reduce costs for broadcasters, according to the FCC’s own announcement. Thanks to technology, the agency argues, broadcasters no longer have to be in the communities they serve to keep in touch with listeners. It’s essentially saying: “We have the internet now—isn’t that enough?” Amazing reasoning. But little insight has been offered into what “better” means; critics argue broadcasters will now have little reason to keep in mind the local communities that they serve when planning future programming. This could lead to further homogenization of radio. Even if the internet allows for greater connectivity among people, there is still value in community-centered media without a million-dollar corporate owner. This may feel like a small change, but it’s another blow for the media companies that seeks to serve its neighbors rather than cater to, well, everyone at once.